We have been working with CRM solutions since 1999 and with Dynamics CRM, or Dynamics 365 as it’s now known, for over a decade. We have clients using the leads entity in Dynamics 365 and some clients who do not. Additionally, we speak with potential clients every day who are working with leads in Microsoft Dynamics 365 in very different ways. Recently we have seen an organization creating leads from accounts but I wanted to share the way that Dynamics 365 is set to work for leads. If you should use the leads entity at all and tips of the best way of working with leads in Microsoft Dynamics 365. What is a definition of a lead in Dynamics 365? Leads, in Dynamics 365 represent possible sales – a list of potential customers that need to be qualified. Some leads will never move through the buying funnel for various reasons, however, those that do will go through your organisation’s qualification process. A lead could be someone that has downloaded a paper from your website. It could be someone who has completed a contact form or called into the office to get more information. A lead can be a visitor to a stand at an exhibition or bought-in data. The key in Dynamics 365 to progress the leads is having as much information that is useful so you can send targeted messages or offer focused product or service information. A lead record in Dynamics 365 is the first step to running through the sales process. What is your sales process from the first enquiry? The lead entity is a separate area within Dynamics 365. This is designed so that your data in the main database is as clean as possible. In Dynamics 365 you can look to ensure that you are not duplicating lead effort if the account is already a customer and this is key to maintaining the data. Or by integrating with event downloads or website forms. Activities are a great way to keep up to date following leads up and moving them through the qualification process. You can create tasks to remind what you need to do to progress the lead. Did you promise to send information? Do you need to follow up the lead? 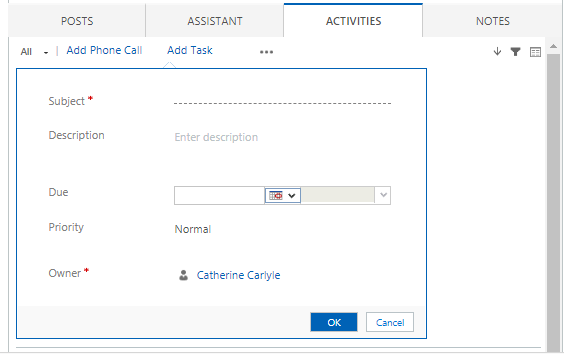 Phone calls within this activity pane are to record calls that you have made. You qualify a lead when it has met certain criteria in your sales process. For many organisations we work with this could be by joining a meeting, sending a proposal, a face to face meeting… This is whatever will fit with your process. When you qualify a lead, Dynamics 365 will create a Contact, Account and an Opportunity. Should I use Leads in Dynamics 365? If a customer can also be a lead? So, the customer could be a customer for one line of business but there are cross-selling and upselling opportunities. If the customer base is small with repeat business. If you generally work with more than one external person at a lead’s business. 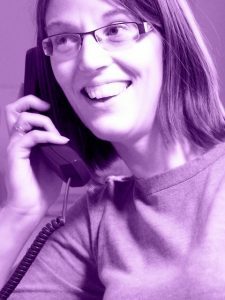 If you are working with a business but could be speaking with several people to progress the lead. Leads can have stakeholders adding and you can tag them as decision makers, end user, champions… However, when you qualify the lead you will need to associate the stakeholders to the account as necessary. Do you create a lead for an opportunity of an existing customer? No. To create an opportunity for an existing customer, simply create an opportunity using either the quick create or full form from the accounts. An opportunity represents a potential sale. Dynamics 365 is a great place to segment leads for marketing purposes using comprehensive advanced finds. Dynamics marketing lists update leads as they are added to the database if they fall into the criteria. Static marketing lists for leads are for one-off marketing campaigns. Find out more about Dynamics 365 and Marketing here. Are you a sales person looking to save time by using a great CRM solution? Click here. Have you got Dynamics 365 already but it’s not working? We can help! Do you need Dynamics 365 support? Contact us for a competitive quote. Looking to implement Dynamics 365? Check out how we can help! All images from Microsoft Dynamics 365 are used with permission from Microsoft.